Do you know the environment of your office hold the power to make or break the Productivity, Happiness, and Health of your team? Many studies also concluded that the surrounding and place of work has the power which affects the employee positive or negative ways as they may feel unsatisfied or unengaged as one-third of life of many people is spent in the office only. So it becomes more important and imperative need that you should create or design office interiors more positive, productive, and vibrancy that helps the employees to feel more constructive and engaged in their work. When we get our business shop interior design done, we tend to forget the essence of our business objective and focus only on the attractive designing part. The functional perspective of each office is different i.e. some may be customer-facing and others not. So, when you take cad outsourcing services to design your office, keep this in mind. Like for customer-facing offices you may want to give a nice experience and impression to them, so that they feel important and if it just for your team, then get the design which let them feel free. We all know our actions and behaviors' are the outcomes of our environment, so design in such a way that gives flexible area or space which can facilitate collaboration and interaction. Colors play an important role in our life and it is also proved by the studies done on the psychology of the colors, which says the productivity of the person is affected by colors. For example light yellow increases the productivity, whereas dark may create stress & tension, green & blue are calming, going with neutral may be less distracting but too many can create a dull & boring environment. 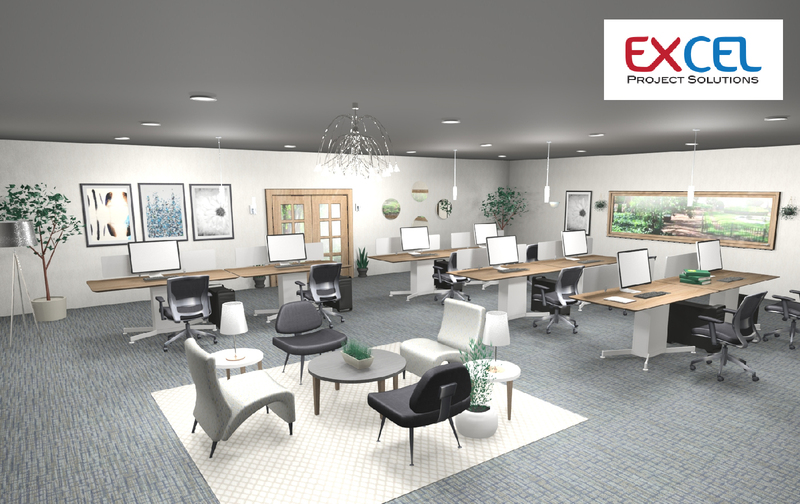 So when you get the cad outsourcing services ask them to use the natural foundational palette and add those colors which bring freshness to space with mix-and-match options. Privacy is a critical element in personal as well as in the professional environment, so it's important to work smartly on acoustic as well as visual privacy. Architects who are working on office interior designs in Dubai says if these are not considered while designing, it may create a distracting atmosphere in the office environment and can lead to low productivity and stress. It's not always the big wall with which you can achieve the acoustic separation, however you can use acoustic materials on ceiling, carpets to cover a large area, partial height partitions to create cubicles, which will help you to block the all visual distraction and cut down on acoustics, while making the space more personal and open to the employee where they can engage & interact with each other. New furniture always add a bloom in the office space and today we have ample options under modern furniture's which not only saves the space but at the same time also give a contemporary look. Getting comfort chairs and functional furniture can make the lives of employee easy and more productive. Along with furniture, lighting also has an extended impact on overall office productivity and culture. The colors of lighting create a focused and comfortable environment. Communal or common area in an office is as critical as their meeting rooms, all unofficial meetings and informal talks held here over a cup of coffee. So, get this break-area designed well by adding attractive lighting & furniture which can add value to the collaboration and team spirit. Along with above-mentioned points ensure that you put all copier, printers, stationary, etc. in the communal area, so that they should stretch their legs with that little break and involve in impromptu interactions with others. When you give a reason & value to everything in your designs, it will add a reason for your employees to stay happy, healthy, and productive.